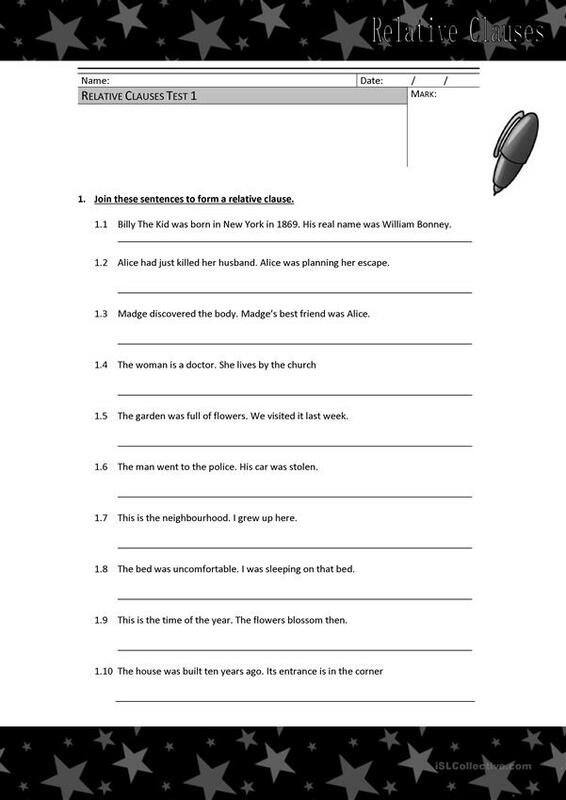 2.Fill in with the correct relative pronoun or adverb. If it can be omitted use brackets ( ). This downloadable handout is meant for high school students and adults at Intermediate (B1) and Upper-intermediate (B2) level. It is aimed at consolidating Relative clauses in English, and is a valuable material for honing your students' Writing skills.